Meet the masters behind the rinds! 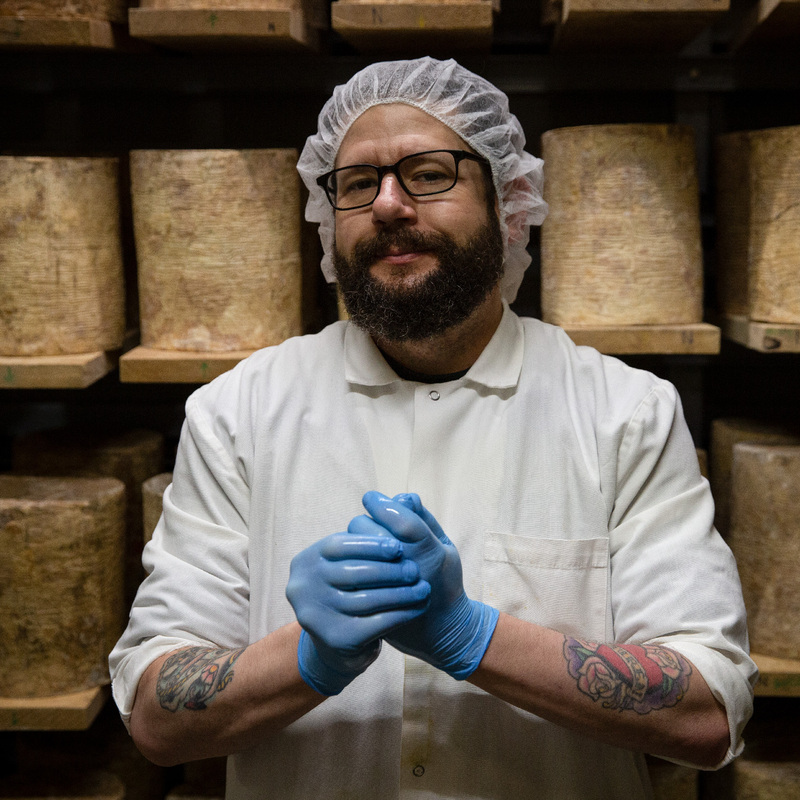 Get an up-close and personal look at the people who make our caves and cheeses possible. 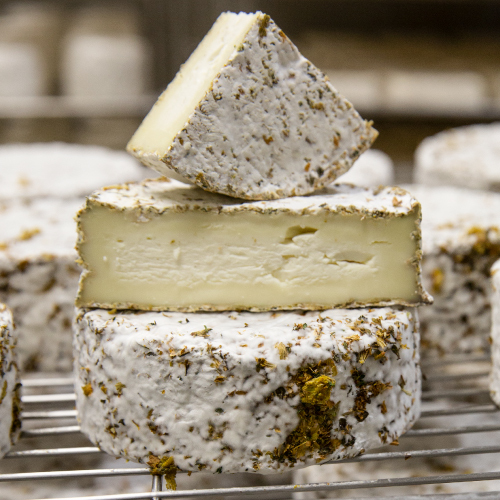 From flipping, washing, and handling cheeses to brainstorming new experiments for Cavemaster Labs and overseeing the production of our original releases, our team of Cavemasters are experts in affinage and consistently creating Murray’s best products. 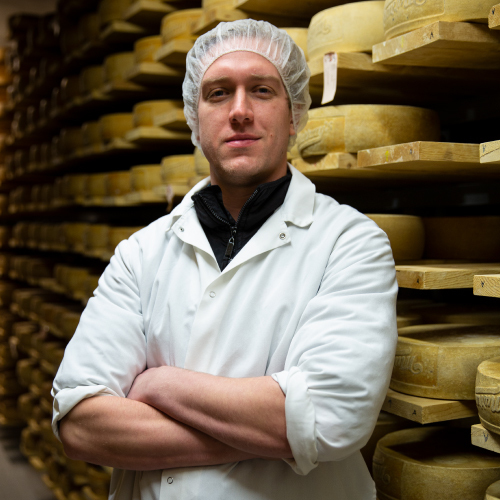 After working with cheese in the Hudson Valley, PJ decided to bring his expert affinage skills to our Long Island City caves. Josh’s love of discovering new beers and cheeses led him from a career in building automation to working behind the scenes at Murray’s. 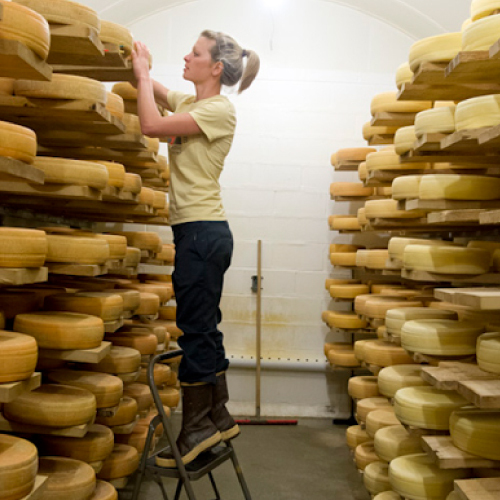 Our resident doctor Krista uses her background in animal and dairy science to help us develop our cheeses to their peak ripeness. Love cheese? We offer a fronct-row seat to expert affinage for enthusiastic individuals who are looking to help us produce Murray’s best cheeses. Want to see (and taste) where the magic happens? 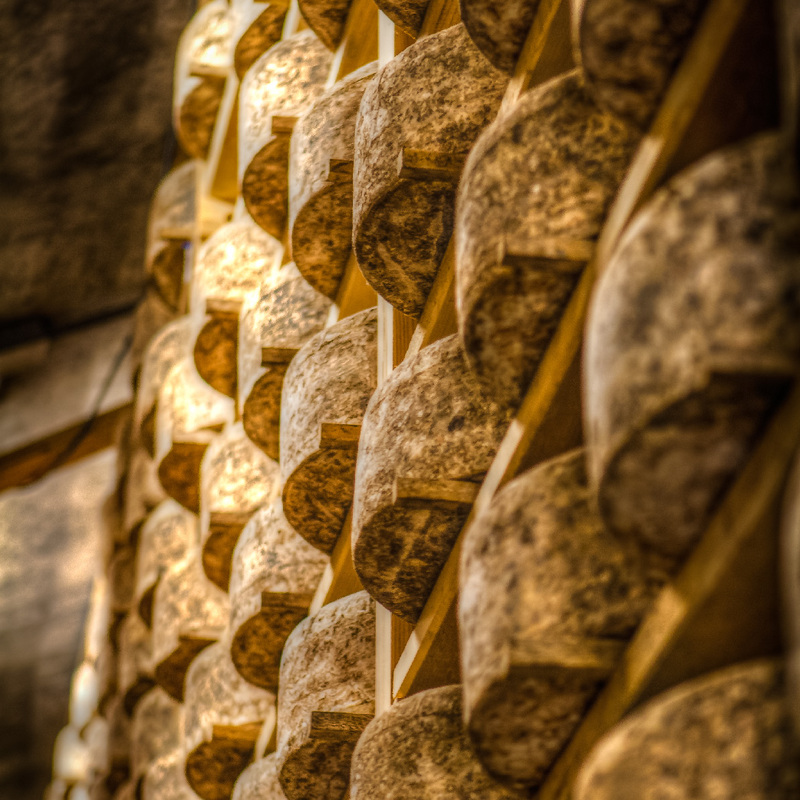 Sign up for cave tour and get an intimate introduction to our cheesemaking process. 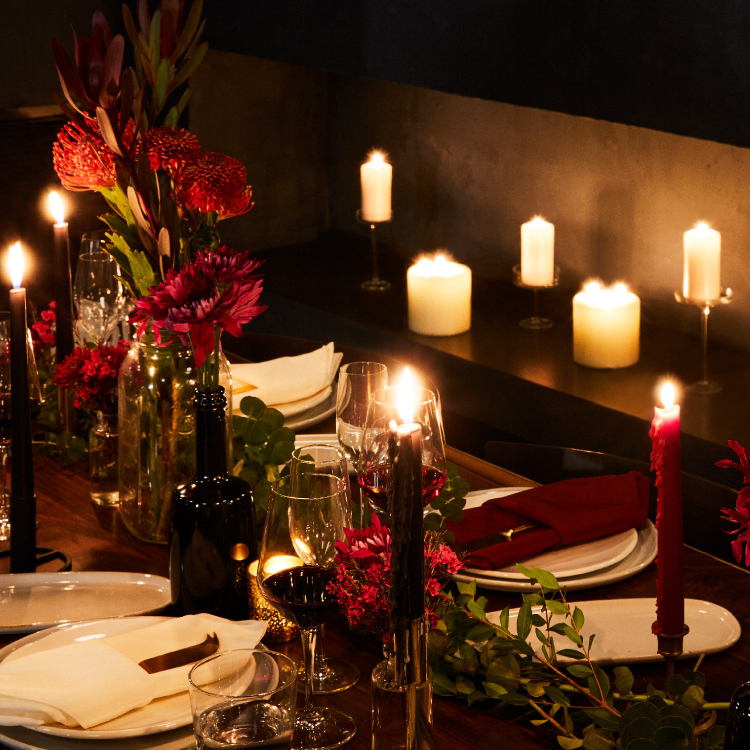 From original caves to a luxury speakeasy, our newest private dining and event space is NYC’s hottest new destination for subterranean dining. 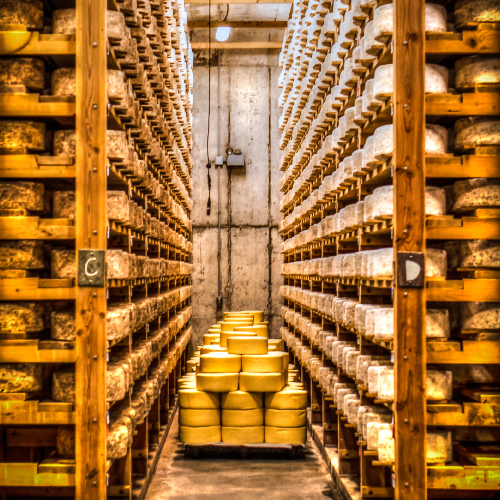 The Caves at Murray’s aren’t the only destination for excellent affinage—take a look at some of our cheesemaker friends and learn how their underground operations function. 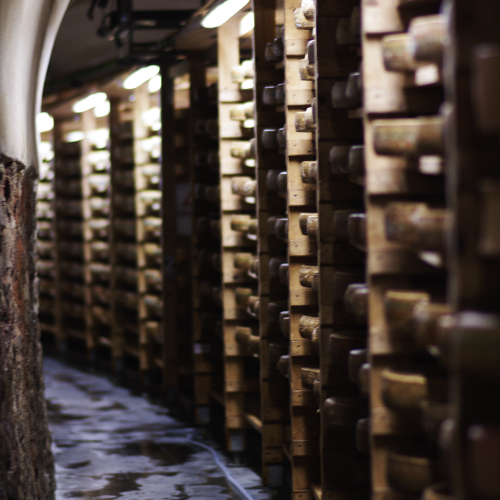 Featuring some of the most prolific locations for cheesemaking and aging, the caves Herve Mons, Consider Bardwell, and The Cellars at Jasper Hill serve as just a few of our favorite sources of inspiration and collaboration. Just like Murray’s, they always produce outstanding cheese. In Greensboro, Vermont, Jasper Hill Farms maintains a 22,000 square foot facility underground for the express purpose of on-site affinage. Featuring seven vaults specifically calibrated for various cheese types, Jasper Hill ages cheeses straight from their Creamery, as well as those from other producers. This local operation gets major accolades not only for its state-of-the-art caves but also for its award-winning productions. Built out of an old railroad tunnel, the Fromages Mons caves in France are a family-owned operation that’s nothing short of spectacular. Enticing visitors from all over the world, this renowned center of affinage hosts cheeses from only the best producers in their unique underground facility. Want to learn how to age from the best? The Mons family also maintains a training academy for aspiring affineurs. With 300 acres of farmland bordering New York, this southeast Vermont creamery is a woodland pasture with its own center for affinage. 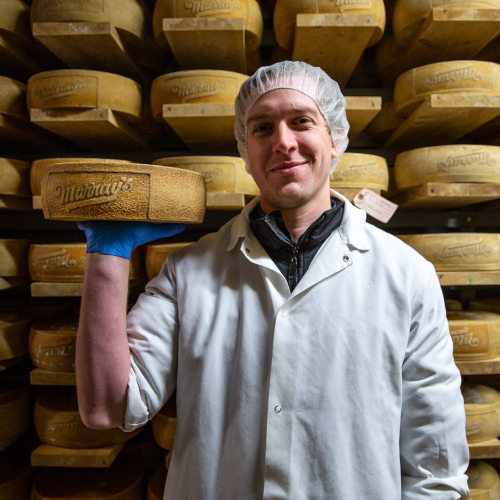 Consider Bardwell, which is home to certified organic and federally-protected grassland, hosts a herd of 120 milking goats which help produce some of the best cheese in the Northeast. 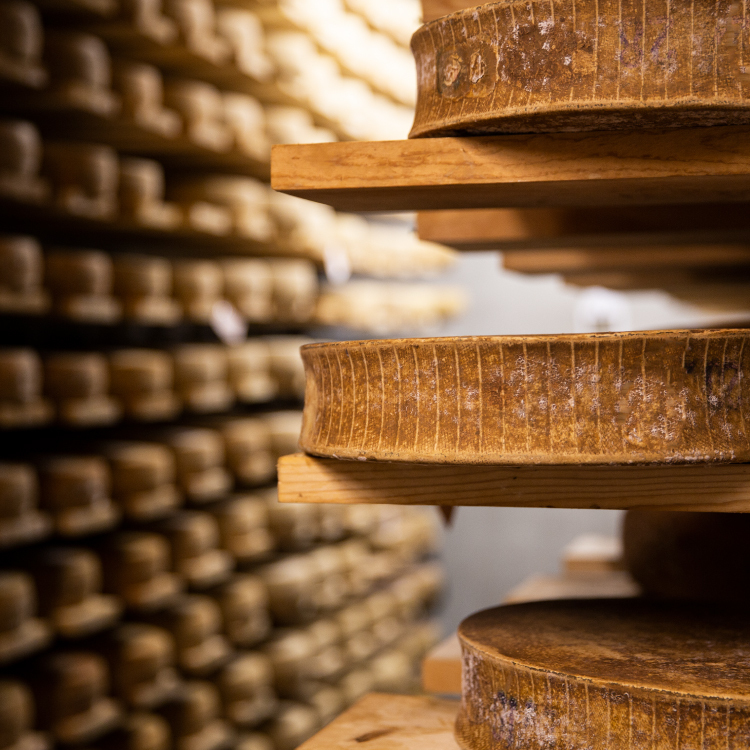 Like Murray’s, Consider Bardwell’s award-winning cheeses are aged in their own cheese caves, which are built specifically to cater to the individual microbiomes necessary for each distinct cheese type.